A newborn baby was found abandoned by her mother in a trash can of a gas station restroom in Pennsylvania. Report shows that the incident occurred at a gas station near Pittsburgh. The newborn was found by paramedics who came to the location to treat the baby’s mother. The woman reportedly gave birth in the gas station bathroom, telling her family she felt sick, and later telling paramedics she had a miscarriage. 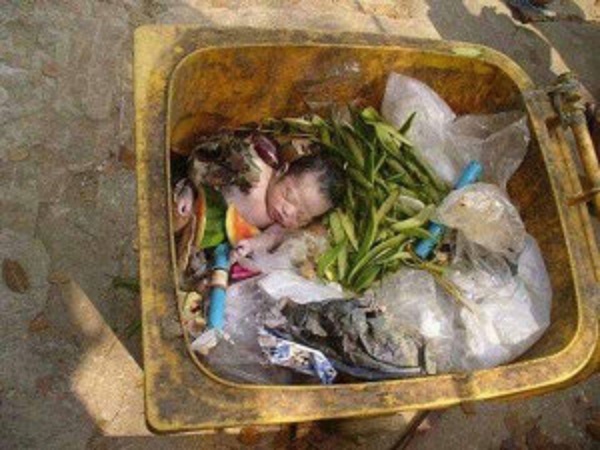 The paramedics, however, found the baby alive in the trash can, reportedly uninjured. According to LifeNews, all 50 states have safe haven laws which allow mothers to drop off unwanted children at designated locations such as hospitals and fire stations with no threat of repercussions. These laws are meant to prevent instances like what occurred in the Pennsylvania gas station. Indiana has even begun to use “baby boxes,”–specially designed boxes that have climate control and are comfortable for newborns. After a mother places her unwanted baby inside, the box will alert officials who will then make sure the baby is cared for. No charges have been filed against the mother in the recent case.